Dr. Jeni Dulek graduated from the University of Puget Sound in Tacoma, Washington with a BS in Occupational Therapy in 2000, and in 2015 obtained a Post-Professional Doctorate in Occupational Therapy (OTD) with an emphasis in Education from Rocky Mountain University of Health Professions in Provo, Utah. She also holds a MS in Instructional Design and Technology from Trevecca Nazarene University, and a certificate as a Higher Education Professional in Online Learning. Her doctoral capstone focused on preparing educators to use the flipped classroom model in their teaching, and her instructional design capstone addressed curriculum mapping for instructional improvement and accreditation compliance. Prior to accepting a core faculty position in the OT program on the San Marcos campus, Dr. Dulek served as Academic Fieldwork Coordinator, Instructor, Assistant Program Director, and Program Director of American Career College’s Occupational Therapy Assistant Program, where she was a founding member and course developer. At USAHS, Dr. Dulek teaches courses addressing psychosocial interventions, the process of occupational therapy, and conditions in occupational therapy practice. She has been in practice for 19 years, with 14 years of full-time clinical practice devoted to working with people with mental illness in a variety of practice settings. 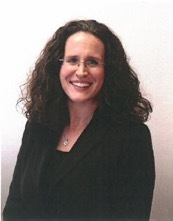 In addition to her clinical work, she has been an adjunct faculty member of several occupational therapy programs in New York City, published research on support education for people with serious mental illness in the American Journal of Occupational Therapy, and presented original projects at national and regional occupational therapy conferences. Her most recent scholarly work focuses on the use of Motivational Interviewing to support the development of “soft skills” in occupational therapy students, both in academic advising and while on fieldwork. She has presented on this topic at the state and national level, including the Lilly Conference on College and University Teaching and Learning, an interdisciplinary teaching conference, the American Occupational Therapy Association’s Annual Conference, and the Occupational Therapy Association of California’s Annual Conference.